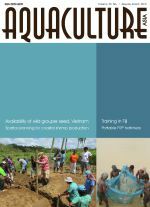 Peter Edwards writes on rural aquaculture: Some thoughts on integrated farming in China. The trade in live reef foodfish: a Hongkong perspective. Frazer McGilvray and Thierry T.C. Chan. Organising and operating a regional federation of aquaculture producers. Enhancing access to, and meeting market requirements for aquaculture products. Big business, barnacles and barra boofing. Chloramphenicol concerns in shrimp culture. 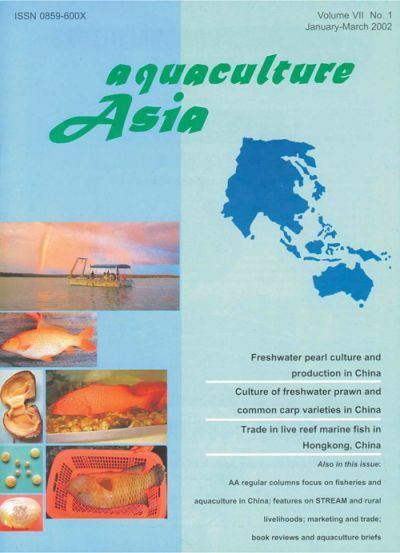 Freshwater pearl culture and production in China. Hua Dan and Gu Ruobo. Freshwater prawn culture in China: an overview. Miao Weimin and Ge Xianping. Status of common carp varieties under culture in China. Induced spawning of Pangasius sutchi with pituitary extract. N.R. Chattopadhyay, B. Mazumder and B. Mazumdar. Aquaculture and fisheries technology news from China. What's new on the web.